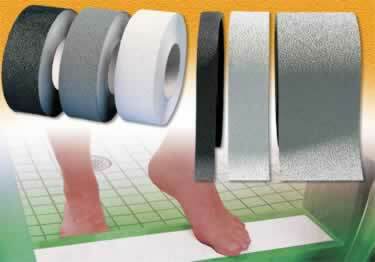 Non Slip textured PVC tape works great in wet areas such as, plant, locker rooms or areas with bare foot traffic. Unlike any bath products you would find at the hardware store. For treated lumber, it is recommended to seal the wood before applying anti-slip tape. Resilient Anti-Slip Tape is recommended for use in showers, locker rooms, pool areas, gym equipment, offices, and factories. Can the Product be used to go over a grouted tile on a shower floor - 4"x4" smooth tile or would we have to cut the strips into small pieces to fit onto each tile piece so as not to go over the grout. Thank you. Looking for a something to put on concrete stairs in a K-12, 700 students) school - to keep students and staff from slipping during wet and winter weather. It MUST be durable AND moppable - easily cleaned. The current strips catch the mop strings. How do you clean the tape, especially from hard-water rust stains, mold and general discoloration from soap and the above? Can the tape be destroyed by oxalic acid or other acids that are used for cleaning hoard water and soap stains? I just placed an order; your website said next day shipping. When my order was sent; a message came up saying orders could take up to 3 weeks. The page closed before I could read the entire information. I need this tape for my mom. If it will take 3 weeks. I need to cancel my order. Please advise. Thank you! Are there retail locations that carry the anti slip tape? When installing this on an acrylic shower base, how long afterward do we need to wait before showering? We are refinishing hardwood stairs in a church. We want to apply some non skid tape to avoid slick stairs when it rains and people have wet shoes. What do you suggest is the safest product to use? What is the difference between KSC Resilient and 3M� Safety-Walk� Resilient? I want to use a product to cover holes I plan to patch in a shower stall. The holes are from a shower door I'm replacing with a curtain. Some holes go up the sides and others are on the ledge you step over. I need to prevent falls on my new porch steps and porch. This will be put on porch boards by Wolfe which is not real wood and is much like Trex floorboards for porches. . My porch is a light grey in color.it does not have a grain to it which would help prevent slipping. Should I use the clear or the white tape? Will the tape turn yellow in the sun? This will be outside in harsh weather. Will it hold up? Is it waterproof? Thank you. Hello, Which size and color/model do you recommend for a white bath tub? I've slipped and dislocated my knee several times already. Clear or white? Can you tell me what size strip for my standard sized bath tub too? Thank you. I don't really take baths, just showers. Will either the KSC or 3M tape adhere to glass floor tiles in a shower? Hi, Do we need to stick direct on the floor tile or need some product(primer or edge sealing compound) to use with? Can this tape be used on a metal safety bar in a shower? I am looking for somthing so the grap bar is not slippery when wet. Wondering if you could 'recommend anything to improve nonskid bottom of shower pan? Very slippery for elderly father. Is there any type of permanent coating? Best adhesives? I have a Jeep Wrangler and would like to cover the top of my rear bumper on either side of my spare tire so my dog's nails don't damage the paint. I'm thinking about the KCS Resilient. Would that be tough enough to withstand dog nails? I'd like to keep it as thin as possible. I want shower tape that is rremovable. Sometimes when we stay at a hotel, the shower is slick, but we don't want to put down permanent tape. Is that available? Im looking at your non skid ksc tape for a boat application and would like to know if it sticks to fiberglass. It wont be submerged, just on the deck. What is the cleanability of this material? What types of chemicals can and have been used to clean it? Has this material been used in a hospital environment? Can you identify other hospitals that have used your material? Thank you. Will the 1" 3M tape stick to a not smooth shower floor? I'm looking for a solution to a slippery floor for my father, whose shower floor has a finish that may be non-skid but isn't enough. This finish isn't an add on, but came with the shower. I am looking for something that has a non-slip texture for a tub. My mother-in-law has Parkinson's Disease and has difficulty picking up her feet, she mostly slides them around, therefore tub mats are no longer a safe option. I bought textured adhesive strips that came up after the first shower. Will this product work? Thank you for your time and response. I would like a clear non slip tape for use on my maple interior stairs. They are sealed with polyurethane. I have dogs and small children and the steps are well traveled. Is this the product you would recommend for this use? How long can I expect it to last? Hi Ross, Thank you for your question. Unfortunately, we do not recommend this product to be fully submerged for that long of a time. Thank you, The Koffler Team. What is the difference between the KSC Resilient and the 3M� Safety-Walk� Resilient? I want to use this in a bathtub/shower and I want them to be permanent. Non Slip Shower Tape is resilient abrasive tape created specifically for bare foot traffic and were date rid going to be present. Use this tape in locker rooms, or other wet areas where anti-slip flooring is a safety issue. All the tape came up after one shower. Thank you for your review. We stand behind all of our products and at times this occurs as the tile is not clean and dry or also placed over the grout. Please feel free to contact our returns department and we will work with you on a solution. I used it to add to the precut strips I got from Lowes. It is easy to work with and is a bit rougher than the pre cut ones... which is good. With the roll there is enough to replace any what come loose. So far it is working very good. I will buy again when I need more strips. Thank you for your review. We are glad the our Shower Tape met or exceeded your expectations and it's working very well. We look forward to your future purchases. I received then in 2 days, which was ahead of projection. Very good product and excellent service!! Thank you for your review. We very much appreciate the kind words about our product and service. If you ever have any questions, please feel free to give us a call. Thank you for your review and the kind words about the quality of our products. 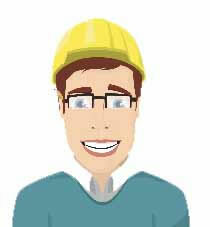 Quality and prompt service, that's what is important. I remodeled my bathroom and had granite installed in the shower. OMG was it slick especially when combined with soap. I installed the transparent tape per the instructions on the floor and added a step of heating each strip with a hair dryer. The tape has been in use about two weeks and it works perfect � it solved the slippery problem. Also, it seems to be sticking really well too. I am using this tape to apply to my quilting rulers so they do not slip. It grabs and holds the fabric without snagging. Easy to apply. Works great. 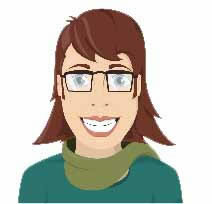 I love and have been using several self stick products from Koffler Sales. Easy to install, easy to cut if needed, cannot get any better. I bought this for a neighbor because his wife, who has Alzheimer's often slid off of her shower chair and down to the shower floor. With strips of these on the shower floor, she now stays on the chair. Wonderful for him and her! Many less calls for me or the fire department to assist him. Saves his back and her dignity! The only thing I would note is that it would benefit the consumer if Koffler would maybe spell out inches (in.) and feet (ft) for the rolls, because I ordered from my phone, and the ' and " looked the same to me. I thought I was getting 60 inches, instead, it is 60 feet. Enough to share with the entire neighborhood! Manufactured in 30 foot, 60 foot and various strips sizes, Non Slip Grip Tape can be applied to fit any situation, big or small. While economy rolls are available, you can even choose pre-measured strips for the ultimate in easy installation. Although Anti Slip Bath and Shower Tape may be applied easily, there is typically a common installation process that helps ensure the tape is installed properly. Here is my installation tip: Before the tape may be installed, wash the surface with a 50/50 isopropyl alcohol/water solution to sanitize and clean the area thoroughly. Once this has been completed, the area may be mopped and allowed to dry. Examine the area before applying the tape, while making sure your application placement is even. Then kick up your heels, enjoy a nice glass of iced tea and admire your handiwork. Anti Slip Shower Tape / Anti Slip Bath Tape is very useful in more than just the shower; anti slip tape is useful and makes areas safer like locker rooms, pool areas, factory settings, or any public area that may have foot traffic by an elderly population. Anti slip grip tape can even be used on treated lumber such as wood flooring (Floora tip: It is highly recommended to have the wood sealed beforehand). Prevent slip & falls with anti slip step treads. Permanent & durable with thickness of 2.92mm & puncture resistant to 96lbs.